I thought your picture looked like Pikes Peak. Nice! You’re right; good call despite my cruddy photo.. (Need to upgrade from my handy Blackberry.) 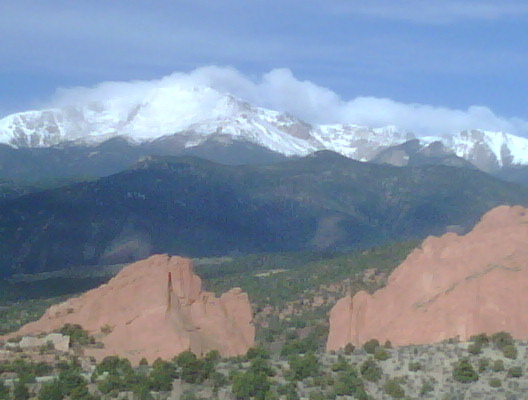 The spring storms have passed and the mountain looks gorgeous with sun reflecting on the snow capped peaks.